Fans attending the Bucks home opener on Friday, Oct. 19, are invited to the Panorama Club following the game for Fiserv Forum’s first-ever silent disco. Held on the top floor of the venue with views overlooking the city skyline, participants will dance to music played through wireless headphones. 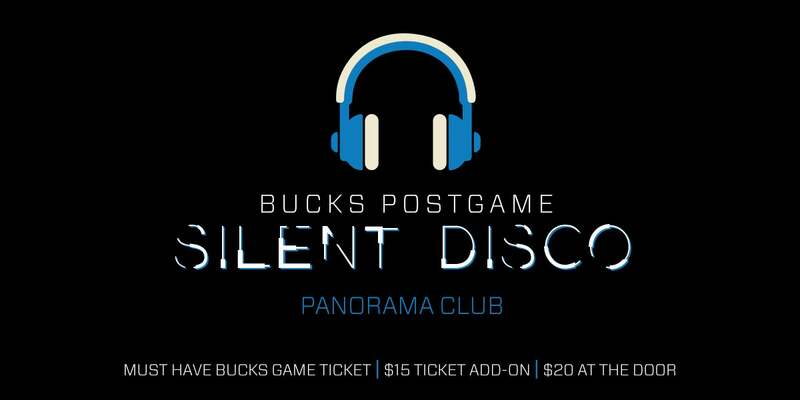 Fans who purchased a Bucks ticket are eligible to buy a ticket to the Bucks Postgame Silent Disco. Tickets cost $15 in advance and $20 on the day of at the Fiserv Forum Ticket Office. Visit www.bucks.com/silentdisco for more information. Click here to learn how a Silent Disco works.